Welcome to part 2 of this tutorial on the tune "Just Friends". In part 1, we analysed the basic harmony and gave special attention to the b7ths falling to 3rds in the 25 and 251 progressions. This really is the foundation of the harmony. Once we can visualise these important tones, we can then apply extensions and alterations to our voicings. 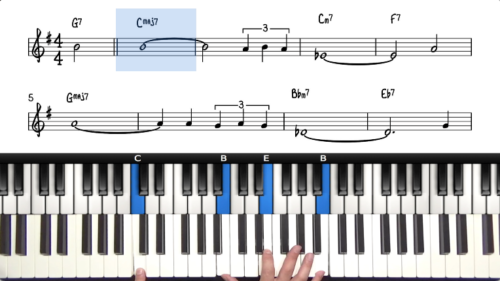 In this lesson we will create a full solo piano arrangement incorporating more advanced jazz theory. We have covered lots of the underlying upper structure triad theory in this course and now we will apply this theory in the context of "Just Friends". We will now explore some interesting colours and textures that can be accessed over dominant chords. Make sure that you print a copy of the upper structure triad cheat sheet. This is a very useful document to keep close to the piano. When you come across a dominant chord, match up the melody note to one of the chord tones listed in the UST, and you will be able to experiment with some cool altered dominant sounds. “Just Friends” is a great tune to improve your understanding of the 251 progression and the voice leading of b7ths dropping to 3rds. For this 5 minute masterclass, we will be using closed position voicings, meaning that the notes of the chord are inside a single octave. We explore inner voice movement over major, minor, and dominant chords, and then we will apply this information to a well-known jazz standard. 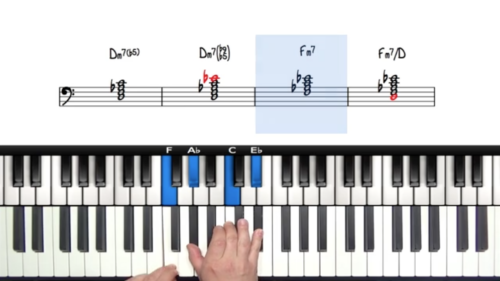 Watch the beginner tutorial on "Just Friends" where we outline the foundation of the harmony. Once you can visualise the roots, 3rds, and 7ths, it's then time to introduce chord extensions and alterations. 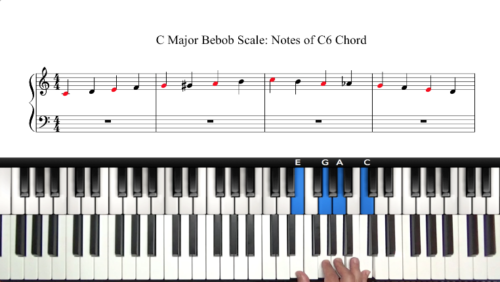 Pay attention to the melody note, and use this as a basis to derive suitable chord voicings. This is particularly true for dominant chords, once you learn and memorise the upper structure triad formulas, you will be much more in finding suitable voicings.